It was true in the past; Apple products were far less susceptible to infections from viruses. While PC users pulled out their hair trying to remove worms and Trojans from their machines, Mac users happily stayed productive and didn’t worry about those issues. It seems, though, that those days are gone. Now, Mac users should ask themselves a question, “Do you need antivirus for Mac”. Mac computers are no longer immune to viruses, and it’s now important for users to invest in antivirus protection for Macs. In fact, some of the factors that have protected Macs for so long are the very reasons antivirus is so necessary today. If you aren’t convinced, here are five good reasons to install an antivirus program on your Mac. It may come as a shock, but there have been instances in which Macs have been successfully attacked by viruses and other malware. So, don’t think if do Macs need antivirus or not, get it. In September 2013, Macs in Tibet were infected with malware allowing hackers to spy on user’s devices; the attack appeared to be limited to Tibet, leading experts to believe it was politically motivated. However, the attack was not an isolated incident. 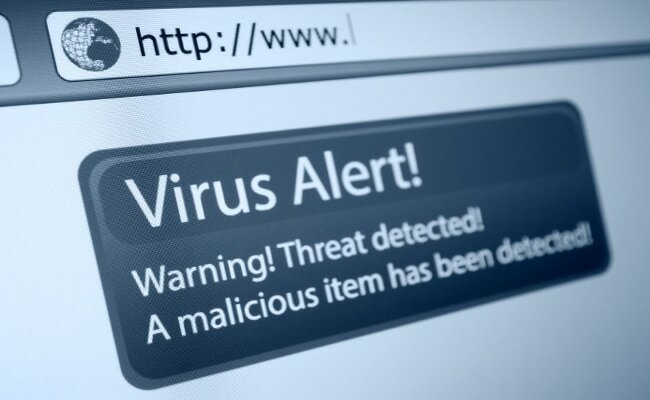 There have been widespread infections from Trojans and other viruses that have infected thousands of machines. As the number of cases increase, it’s become increasingly clear immunity is nothing more than a myth. One of the main reasons Macs have been largely protected against viruses is compared to the PC market, Apple has held a relatively small piece of the home computing pie. That’s no longer the case. Thanks to the proliferation of other devices, including the iPod, iPhone and iPad, Apple’s market share has grown rapidly in recent years. Many consumers are opting to replace their Windows-based PCs with Macs thanks to their positive experiences with other devices. 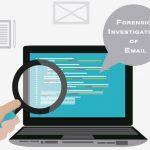 As a result, cybercriminals have a growing interest in this largely untapped market, and are designing malicious code to attack Macs as well as PCs. Considering Apple leads all hardware and software manufacturers in terms of security vulnerabilities, protection is important. Even less than 10 years ago, most people only communicated online with people they knew and trusted. Even those who frequented chat rooms made contact on a secure platform. These days, people are connecting with others from around the world thanks to social media — including people they may not know. Social media is a ripe hunting ground for cybercriminals, who design malware to steal information and infect devices regardless of their operating system. In short, if you use social media, you need antivirus protection. While malware is often spread via social media or email, it’s also common for websites to be infected with malicious code. Even normally trustworthy websites can be hacked and loaded with viruses that will attack any visitor’s computer. Often, these attacks are “watering hole” attacks designed to infect computers from a certain IP address or location and designed to gain access to a specific organization,but there have been cases in which fake websites are built strictly for the purpose of spreading malware to anyone unlucky enough to end up there. Because you can never be sure a website is completely secure, an antivirus program provides another layer of security. It’s well-known many Macs have actually been infected with malware, but because the code is developed for PCs, it does not have the desired effect. The problem is when a Mac user connects with someone using a PC, he or she can spread the infection without even realizing it. If they have antivirus protection, though, their machine will never get the malware to begin with and won’t run the risk of infecting others unintentionally. So, the answer for the question, “Can Macs get viruses ?” is a Yes, a big Yes. Antivirus software is not expensive, and easy to install. Do not allow yourself to be swayed into a false sense of security, and take steps to protect yourself and your computer from harmful malware designed to steal your money, your data and your time. Is it okay to install a free anti-virus software? Or is it better to get a paid one? Personally I prefer paid one. Well, it’s quite rare to see Macs in Indian household (for high cost). It’s been greatly taboo-ed that Macs are not prone to viruses, rather Windows are household and more prone to viruses. I guess one should rather than go for a paid-one with high and premium features than a free and less-featured. What kind of paid one you recommend. i’m now using norton but the price is unreasonable though. A Mac just as any Linux machine is no longer fully protected from viruses, scammers and hackers are smart, they know the amount of Macs in the world are far and few which is why, most hackers don’t go after them, but with software and platforms now coming closer and closer together, getting a virus on a Mac is entirely possible, and protection is required.